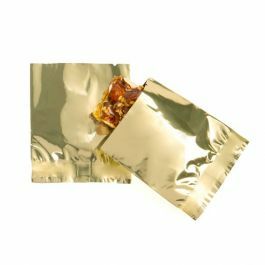 Ideal for products that do not need to be heat sealed, this metallized pouch is perfect for single-use items like sprinkles, spices and flavor packets. SMB22QR measures 2" x 2 1/4" and is a pretty metallic red color. 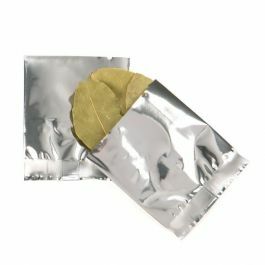 This 2.0 mil metallized bag comes open at the top, features tear notches at both ends and a 1/2" bottom seal for durability. 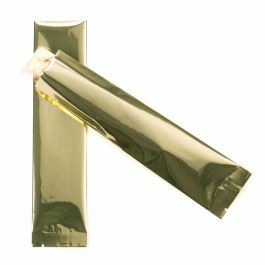 Do you have a small single-use item that needs high barrier protection? 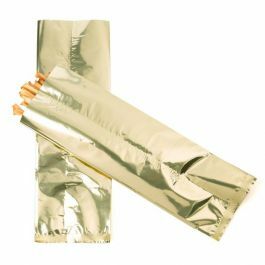 Look no further than our line of metallized heat seal bags. 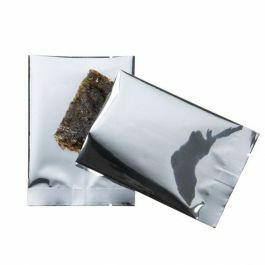 Our SMB22QR is made from 2.0 mil food safe, metallized material and is ideal for keep food fresh. 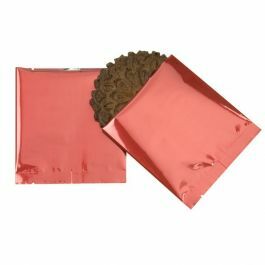 Measuring 2 x 2 1/4 inches, this small metallic red flat pouch is great for items like spices, sprinkles, vitamins and more. 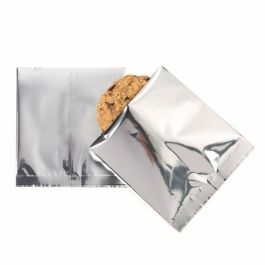 It is open on the top (width dimension), features tear notches at both ends, a 1/2" bottom seal for durability and can be heat sealed using a standard hand sealer. 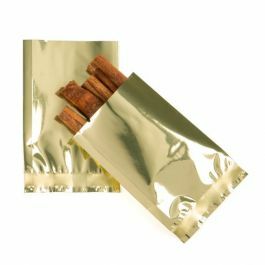 Once heat sealed, this bag provides an airtight closure. Add a label or have it custom printed with your logo. 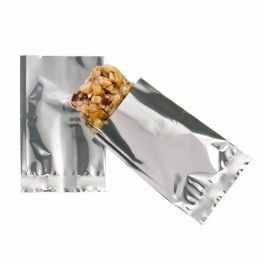 Outer Dimensions: 2" x 2 1/4"
SMB22QR is ideal for packaging small single-use products.